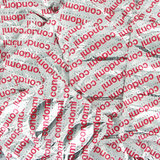 High quality condoms which have a more natural shape making them easier to put on and less restrictive. Wider shape at the top provides more comfort for those who find other condoms too tight. Kite-marked.